All Aboard the Innovation Bus! Take a tour of Calgary's startup community and get access to exclusive entrepreneurial resources. You've got an idea and you don't know where or how to get started. Hop on to the C.E.O. 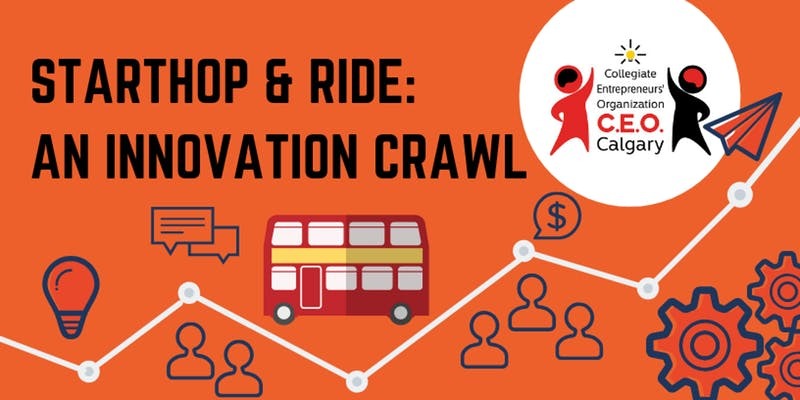 Calgary Innovation Bus and get hooked up with big name leaders, movers, and shakers in entrepreneurship. No time like the present to say YES! Tour begins at the Hunter Hub for Entrepreneurial Thinking. Stops include co-working and maker spaces, visits to top startup companies in the city, and speakers from renowned accelerators. Learn all about the resources available to get your startup going. We will celebrate the end of the tour with a networking event with top business leaders, drinks, and food. Register today. Space is limited. Note: The end of tour will finish at The Commons Co-working in Ramsay. Guests are expected to find own transportation at the end of the tour.